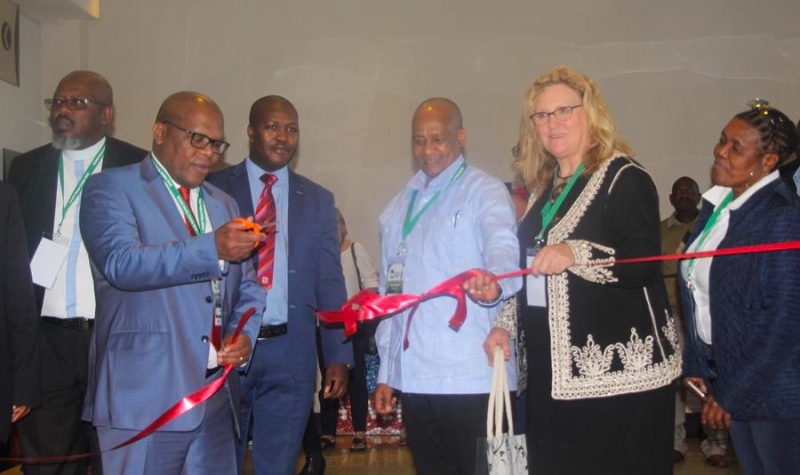 In seeking to improve the management of the solid waste service and safeguard the environment, Buffalo City Metro held a two-day Waste Indaba from 22-23 May 2018 at the East London International Convention Centre. The event was a cooperative effort between the City and the Border-Kei Chamber of Business with the aim to develop sustainable waste management through partnerships, exchange information on best practices and empower the Buffalo City Community with information about waste management. Attendees included government officials, private waste management companies, SMME's, development partners and civic organisations. Delivering the keynote, Executive Mayor Xola Pakati said, "This is an important event for our City because waste management is one of our main mandates as a local government institution." "The importance of this event is also owed to the fact that we know adequate waste management is linked to increased economic fortunes for the City and its people," said Pakati. He also highlighted that being a coastal City increases the need for an effective waste management service. "Our coastline is full of fragile ecosystems that could easily be wiped out if our waste management is not in order. Whilst the protection of species in the coast is a responsibility of several stakeholders, the municipality plays a central and leading role in relation to waste management in its coastline," said Pakati. Border-Kei Chamber of Businesses(BKCOB) pledged to support Buffalo City Metro in all its efforts to clean up the environment and called upon citizens to play their part. Attendees were also invited to an exhibition area where a wide variety of waste products and companies were on display.